Established in 1976 under the Incorporations Act, Sorrento has grown to become one of the largest and most successful bowling clubs in Western Australia. This claim has been recognised by our Club winning the prestigious Bowls W.A. Metro Bowling Club of the Year award in 2013, 2016 and 2018, and the Clubs W.A. Small/Medium Award for Excellence in 2013, 2016,2017 and 2018. 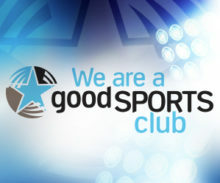 Accreditation to the highest Level 3 Good Sports Club status was achieved in 2017. Sorrento has around 600 members and offers a wide range of services designed to meet the needs of all members and guests, whether playing competitive lawn bowls, croquet or darts; or simply enjoying the great social environment of a warm, friendly place to meet new friends while enjoying a drink or a meal. Located in a beautiful rustic setting surrounded by lush parklands and greenery, we are one of the largest bowling clubs in the State, featuring five high-quality lawn bowling greens, two croquet courts (all under lights) and a spacious and comfortable clubhouse with well-equipped outdoor areas and BBQ facility. The Club operates under the rules of an incorporated body with a Constitution, By-Laws and a code of conduct. The Club is governed by a Governing Council, supported by various committees and sub-committees under the stewardship of its President. The overriding purpose of the Sorrento Bowling Club is: ‘To meet the needs of the community to play sport, principally lawn bowls, and in so doing provide a friendly environment and facilities that Club members and the community enjoy’. We do this by not only providing excellent facilities for lawn bowls and associated sports but also offering services like our Cafe Sorrento where members can enjoy a great meal. We also feature regular entertainment and a great social atmosphere. More details about the Club, how to join etc. can be found in the information booklet which can be downloaded from the link below. While all clubs are formed and operated by joining of people who have common interests, some clubs do it better than others. Sorrento Bowling Club has operated since 1976 and over the years the club, while has grown larger and more diversified it has maintained its strong sense of community among its members – a large family in effect. Although our members are involved in different activities such as sports like lawn bowls, croquet and darts and others simply enjoy the social atmosphere and facilities that the Club offers, all share a common bond. There’s something for everyone whether that’s a competitive or social game of bowls, croquet or darts; watching FOX sport on our large projector screen and various TVs; having a delicious meal at the Sorrento Café; enjoying our regular live entertainment; or relaxing with friends and enjoying a drink in the clubhouse or one of our outdoor areas. Sorrento’s excellence has been recognised by winning Clubs WA’s Medium Club of the Year award in 2013, 2016 and 2017 and Bowls WA’s Metropolitan Club of the Year award in 2012, 2016, 2018 and a finalist in 2017. Sorrento is a Good Sports Level 3 accredited club. Our community welcomes and supports our new members. Member’s rules and behaviour is governed by the Club’s Code of Conduct and the Liquor Control Act 1988 and Associations Incorporations Act 2015 requirements. Join our croquet and dart clubs for only a small additional cost. Sorrento is a great club but is not a pub and therefore members have a mutual responsibility to each other in the way that they conduct themselves when at the Club. This ensures our ongoing happy, safe and vibrant atmosphere. Member’s rules and behaviour are governed by the Club’s Code of Conduct and the Liquor Control Act 1988 and Associations Incorporations Act 2015 requirements.